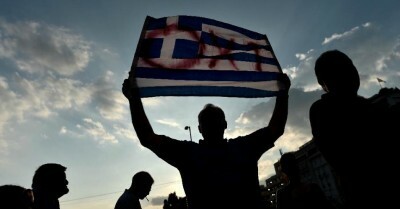 The splendid historic victory of the No shows again that the Greek citizens refuse to accept the creditors’ blackmail. As shown in the preliminary report by the Truth Committee on Public Debt created by the Hellenic parliament, there are several legal arguments that permit a State to unilaterally suspend or repudiate its illegal, odious, and illegitimate debt. In the Greek case, such a unilateral act may be based on the following arguments: the bad faith of the creditors that pushed Greece to violate national law and international obligations related to human rights; preeminence of human rights over agreements such as those signed by previous governments with creditors or the Troika; coercion; unfair terms flagrantly violating Greek sovereignty and violating the Constitution; and finally, the right recognized in international law for a State to take countermeasures against illegal acts by its creditors, which purposefully damage its fiscal sovereignty, oblige it to assume odious, illegal and illegitimate debt, violate economic self-determination and fundamental human rights. As far as unsustainable debt is concerned, every state is legally entitled to invoke necessity in exceptional situations in order to safeguard those essential interests threatened by a grave and imminent peril. In such a situation, the State may be dispensed from the fulfilment of those international obligations that increase the peril, as is the case with outstanding loan contracts. Finally, states have the right to declare themselves unilaterally insolvent when the servicing of their debt is unsustainable, in which case they commit no wrongful act and hence bear no liability.